Jealous of the endless parties and events that the Made in Chelsea set seem to solely exist to decorate? Me too. Luckily, I have a few ‘industry’ friends who hook me up with freebies from time to time: club memberships, free fashion shows, miniature-sized food (somehow tastes better), goodie bags – that sort of thing. Every so often, I go to an event where I look around and think: you know what? This is just (for want of a better word) cool. And then the envy kicks in. I’m calling it ‘cool envy’, and I’m not ashamed to say I have it. 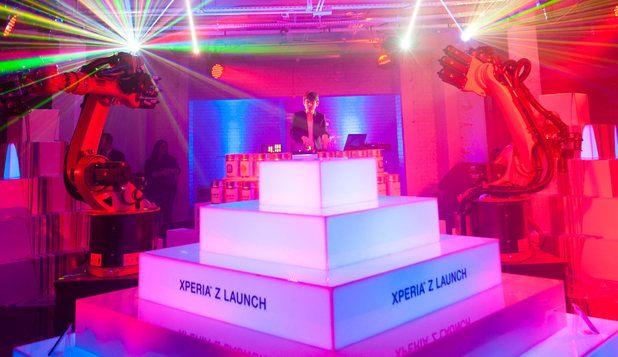 I was gutted to have missed out on the Sony Xperia Z launch party this Tuesday 19th March, where London’s most effortlessly trendy techsters gathered in their droves to get their hands on free things. Or maybe just to play in the giant human ball pond. In a not too shocking clash of music-meets-art-meets-technology, Sony artist DJ Madeon donned the decks, while paint-spraying robotic arms and glowing neon light installations entertained the crowds. Massive cool envy. 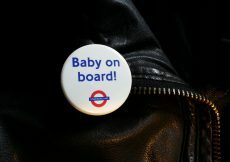 Maybe I should start wearing a t-shirt emblazoned with: ‘Blogger at large; invite me to things’. How cool would that be?